Similar to the Printable Chinese Word Flashcard Maker, Chinese Word Worksheet Maker is designed for Chinese language teachers and parents to generate customized Chinese word, phrase and sentence worksheets. 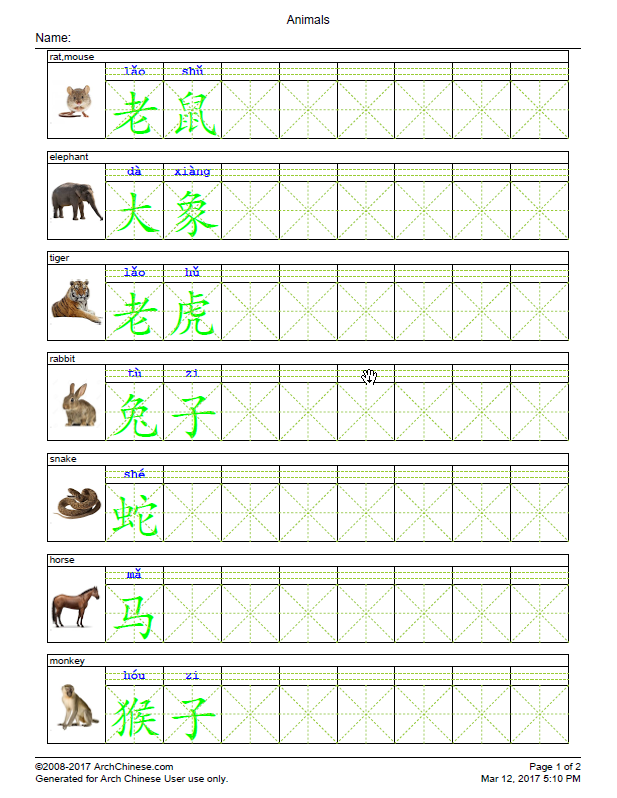 The writing worksheets help the Chinese language learners to master Chinese words, phrases and sentences by writing them. It is a complementary tool for the Chinese character worksheets, which focuses on the individual characters. To use images on the worksheets, enable the "Display the image of the word" option and click the image icon to upload or look up an image for each word entry. Enter the title of the new worksheet, such as Chinese Writing Homework #1. The title will be shown on the top of the generated worksheets. Enter Chinese phrase or sentence. You can copy or paste Chinese text from other sources, such as web pages or word documents, or enter them using your faovorite Chinese Input Method Editor(IME). Click the P button to add Pinyin automatically. In the case that there are multiple pronunciations for a particular character, the system will attempt to use the right one based on its context. In some cases, the user has to edit it. Do not use punctuation marks in the Pinyin input box. Note that Pinyin must be entered with tone numbers. The system will convert them to tone marks when the phrase worksheet PDF is generated. In addition, the Pinyin syllables must be separated by a blank space. As an example, for Chinese phrase 你去哪儿？, the Pinyin must be entered as ni3 qu4 na3 er2. Use v for ü, for example lv3 for lǚ, and number 5 for the neutral tone, e.g. ma5 (吗). Optionally, change the default worksheet settings. The settings are self-explanatory. Click the color buttons to bring up the color pickers for writing grids, Chinese and Pinyin. 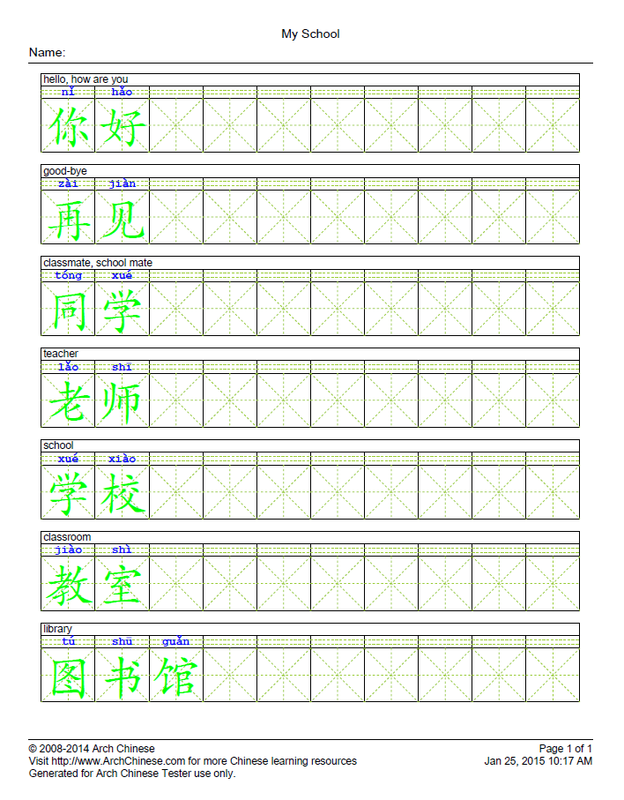 Click the Print button to generate a worksheet for Chinese learners to practice writing Chinese phrase and sentences.